Possess accounting and financial planning skills. Be able to prepare budgets and analyse financial information. Be able to use most widely used application packages. Be able to make decisions effectively. Possess self management, HR management and business communication skills. Possess thorough insight and understanding of strategic planning, implementation and control. Entry Requirement: It is compulsory that a Learner has achieved a Grade 12 Certificate, prior to registering for the UNISA Business Management Programmes. However, UNISA are prepared to consider prior work experience if a learner has not achieved a Grade 12 Certificate. External Fees and Text Books: Learners will be required to pay additional fees to UNISA and FMI for registration and final assessment. 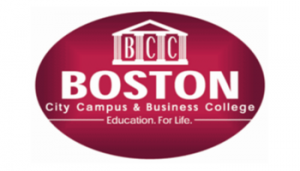 These will be quoted by and paid to Boston City Campus & Business College and transferred on the Learner’s behalf.